JETBeam's Jet-II Pro was designed for camping, cycling, outdoor adventure, and self-defense. 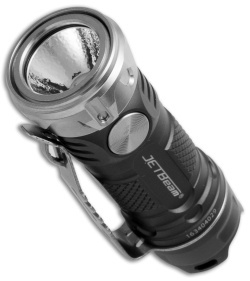 This compact flashlight features a removable crenulated bezel and standard flat bezel. A removable pocket clip offers a secure carry option during your travels. 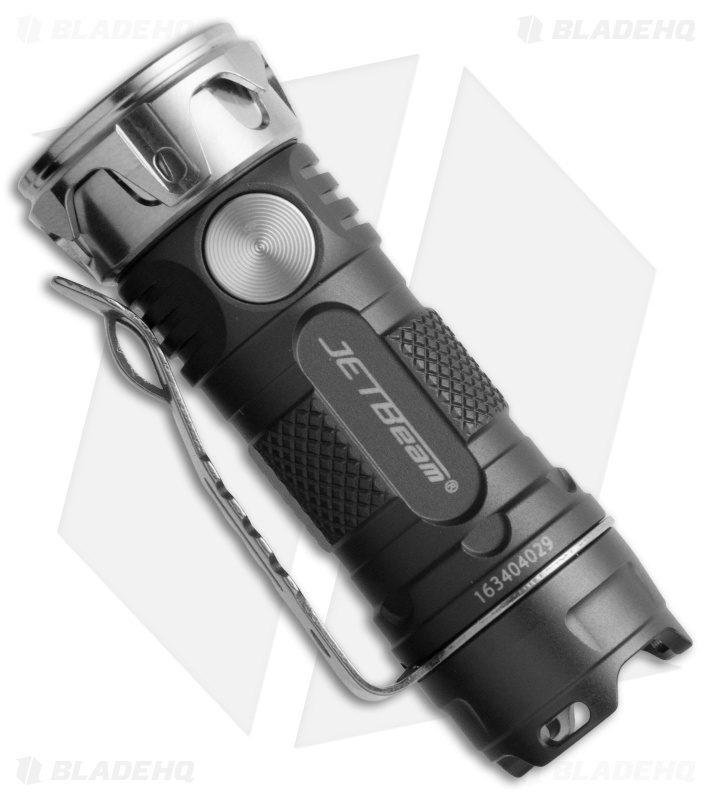 The Jet-II Pro is the perfect size for everyday carry, and runs on a single CR123 battery (not included). This model features an aluminum body with a black anodized finish and a polished head, button, and pocket clip. Lightweight titanium construction offers high durability and portability. One side button control design for easy use outdoors. Built-in effecient power management circuit.